There are numerous organic farms in Pennsylvania. With the state's excellent climate and growing conditions, organic farms are able to flourish in all parts of Pennsylvania. It is wonderful to go to an organic farm, support the farmers, and get fresh produce. For a more extreme back-to-nature experience, consider picking your own produce. This is a unique and educational family outing. The phone numbers and email addresses for the following farms can be found at the Pick Your Own site or by doing a search of the name of farm that you are interested in. Eastern Pennsylvania is the home to one of the largest organic research farms in the United States, the Rodale Institute. With 60 years of sustainable and organic farming practice, Rodale has been the inspiration for much of the movement toward organic and sustainable farming today. This 333 acre certified organic farm is devoted to educating the public and ongoing research about organic farming. You can visit the Rodale Institute in Kutztown, Pennsylvania from May through October and pick your own pumpkins, apples, and other produce. Indian Orchards is one of the few organic farms in eastern Pennsylvania that allows you to pick your own fruits and vegetables and cut Christmas trees. They are open from June through October and ask that you call ahead to check availability of the item you are looking for. They also sell organic produce that already has been picked. Indian Orchards is located in Media, Pennsylvania. County Line Orchard is located in Kempton. They have many different types of produce listed, although the apples are the only items listed as certified organic. This farm is open from July through November, but be sure to call for specifics. County Line accepts cash only. They also have other produce for sale that has been pre-picked. They are generally open from June through November, but be sure to contact them first. Nature's Comeback also gives farm tours. They sell bison, free range eggs, and free range chickens. Located in Punxsutawney, they ask that you contact them before coming out. Of course, not every organic farm is a pick your own farm. There are many other organic farms across the state. They produce everything from beef and pork to eggs, raw milk, and Christmas trees. 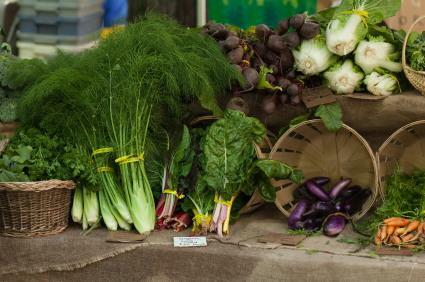 Eat Wild has an extensive list of organic farms in Pennsylvania. Star Hollow Farm is located in Three Springs. Whether you plan on picking your own produce or buying it already picked, buying from a farm directly is a great way to get your groceries. When you buy from the farmer, you are supporting the local economy as well as helping small farms continue to flourish.